When you find yourself looking for expert and efficient towing services, look no further. Priceless Towing offers local and long distance towing, along with many other related services to our valued customers in the Las Vegas area. Whether you need business, residential or other industrial vehicles towed, you can count on our reliable and trustworthy towing team to deliver superior services. 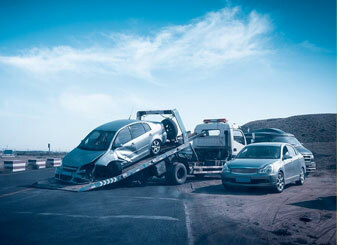 We specialized in towing wrecked or broken down vehicles. You can count on our fast response to any accident or other breakdown you may experience 24/7 for those times that you experience an emergency. Following are some of the services you can trust when you choose Priceless Towing. Flatbed Towing is essential in some cases. At Priceless Towing, we have a fleet of flatbed and winch out trucks that will safely get your vehicle from point A to point B. When dealing with heavy towing such as bobcats, excavators and bulldozers, there isn’t any other way to tow them than with a flatbed tow truck. If you are in need of towing four wheel drive vehicles, the best way to tow it is with a flatbed truck as well. You can count on our team of experienced drivers to use precision as we load and unload your vehicles for towing. Don’t worry, if you have exotic vehicles that you are trusting us to tow, we will exceed your towing expectations and deliver your vehicle in the same flawless condition we received in it. Wheel Lift Towing is ideal for two wheel drive vehicles and to maneuver out of tight parking spaces and other spots. When you call in to Priceless Towing, we will ask a few questions as to the type and condition of vehicle as well as the location. Anytime you find your vehicle stuck with no way to get out, Priceless Towing offers Winch Out Towing Services to get you back on the road in no time. We may not experience snow in Vegas, but you may find that you are stuck in mud, sand or stranded on a small parking barrier. Leave it up to our towing professionals to get you back on the road without causing any damage to your vehicle in the process. Experiencing an auto accident can be one of the most stressful experiences you will ever have. When you find yourself in an accident, you can count on the Fast Accident Response Services offered by Priceless Towing so you don’t have to worry about it. We provide certified traffic control and work to get your vehicle towed to keep the area safe. Ever find yourself stranded on the side of the road with a flat tire or no fuel? No worries! Priceless Towing is standing by 24/7 to offer you the Emergency Roadside Assistance Services that you need. We offer our customers quality roadside assistance and fast response so they don’t have to wait any longer to be on their way. Look no further for roadside services including but not limited to flat tire repair, fuel delivery, auto lockout services, jumpstarts and more. The next time you find yourself needing towing services, you know you can trust the towing team at Priceless Towing. Call us today!